Hrannar Baldvinsson reviews "Why Marx Was Right", Terry Eagleton's bold and boisterous defence of one of the most revered, maligned and misunderstood figures of modern intellectual and political thought. 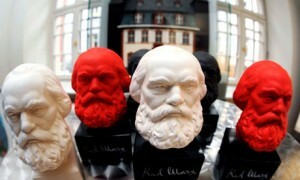 Marx is back! Or so we hear every time Capitalism is in trouble. Back in 2008 newspapers reported that demand for Das Kapital had exploded in Germany, in Japan the Communist Party started selling comic book versions of his most popular works. Even anti-Marxist thinkers like philosopher John Gray admit that Marx was on to something; he was right, Gray maintains, about many aspects of Capitalism, for example that it leads to the proletarisation of the middle class. It’s just that he was wrong about the alternatives. Terry Eagleton, Professor of English literature and card-carrying Marxist would argue that Marx was right about a great deal more. In fact, he would argue that Marx was right on more or less everything. To make his point, he has assembled a book on why Marx was right and why his detractors are (mostly) wrong-headed ignoramuses or reactionary bullies. 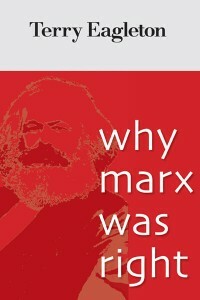 Although claiming in the preface to be a critical Marxist – and thus in no way accepting of everything that Marx had to say – Eagleton’s criticism in practice consists mostly of a few and far in between gestures such as admitting that there are problems with the theory of historical materialism. Of course, bearing in mind the title, as well as structure, of the book this is perhaps to be expected. Eagleton’s main line of attack is against a number of familiar tropes: for instance, that Marxism might have been relevant in the 19th century but not so any more, that it is fine in theory but a disaster in practice, that it is deterministic, utopian, reduces everything to economics, ignores the spiritual side of life, that its notion of class is outdated, that it rejects reformism for revolution, that it believes in an all-powerful state and that recent radical movements owe little to Marxism. In response to the first charge, Eagelton maintains that the point of Marxism is to undo itself: once there is nothing left to fight for, Marxism will cease to exist. If it still exists today it is because there are many things left to fight for. This maybe true for Eagleton but for a great deal many revolutionaries, radicals and activists this is also about an attitude and a way of living. Put bluntly, fighting the good fight feels good, and “Banjo lessons” might not be quite as nourishing for the soul. Eagleton also maintains that the reason for Marxism going out of fashion is not that society has drastically changed, but that the system seemed unbeatable and the alternatives seemed worse. As a result the left leaped into post modern nihilism. In fact, the Capitalist system at its core remains unchanged, which is why Marxist critique remains valid. But Eagleton goes further, offering a common defence of socialism that readers of Eric Hobsbawn would recognise, insisting that it was never meant to be introduced in a disastrously-poor country like Russia. Lenin and co, Eagleton points out, had hoped that the revolution would spread to other countries and had especially high hopes for Germany, even setting up the headquarters of the Comintern there. Their hope was that the German revolution would then help the new and backward Soviet Union with much needed materials and technology. Socialism, as they saw it, would have to be established in advanced countries with flourishing civic culture, liberal democratic traditions and a highly educated workforce. This, however, overlooks one crucial aspect: the system that Lenin established in Russia contained no checks and balances. There were no real institutions to stop the Central Committee of the Bolshevik Party from abusing its power, something critics of Lenin, including Trotsky had noted even before the revolution. One could, of course, argue that Lenin had a good reason for doing this, a revolution after all is not a tea party (as Mao would have said,) and if one wants to revolutionise society giving people who do not share your enthusiasm the wherewithal to thwart your plans is no way to do things. Eagleton omits this point, however, seemingly convinced that, had the revolution occurred in a more “civilised”, wealthier society things might just have turned out all right. Believing such a thing requires an expansively optimistic outlook, to say the least. After all, regardless of where they occur, revolutions have a tendency to be rather messy things. Eagleton seems to advocate some sort of Market Socialism but omits to mention that such an enterprise was attempted in Yugoslavia as well as in Hungary with meagre results. When one advocates a new system, explaining what went wrong with previous attempts might be helpful, and explaining what will be different “this time” even more so. Eagleton also seems to be interested in using modern information technologies (i.e. the internet) to solve the practical problems of socialism. One could of course point out that central planners in Eastern Europe had also pinned their hopes on the computer revolution to solve their problems, and as we know, it didn’t. This does not rule out that it might eventually do so. Modern societies only need a fraction of its populace working in industry and production. Most people work in the service industry, often doing things that we could very well do without. On the charge that Socialism has often been a disaster in practice, Eagleton counters with the assertion that modern Capitalist nations are the fruits of history of genocide, violence and imperialism; it just so happens that we have forgotten about this because it has been about for so long. Socialism, he points out, also had its monumental achievements to its credit, such as free healthcare and schooling, as well as full employment (although inspecting them from the vantage point of the modern welfare state might make them sound rather meagre and unimpressive). After pointing out the weaknesses of Historical Materialism, Eagleton admits that Marxism is deterministic, but not as much as Dogmatic Marxists understood it to be. On being Utopian, he responds that Marx said next to nothing on how socialism would come about or be, but did however assert that socialism should be a decisive break with the present, (or the end of prehistory which itself has a slightly utopian ring to it). Eagleton also points out that there have been drastic social changes in the past centuries, to think that change will simply stop now is absurd. This is of course true, but the changes were accomplished, to a large extent, through compromises. This might explain why Capitalism is still with us today. Eagleton closes his book with a flurry of swings and swerves: Marx had a passionate faith in the individual, was suspicious of dogma, was not into “perfect society”, not for equality as commonly understood, not utopian, was for diversity, was hostile to the state, friendly to democracy, not against reformism, did not obsess over the working class, was not simply a materialist, praised the middle classes and saw socialism as its inheritor, a champion of women’s rights and so on. Eagleton can be a very convincing writer. He can even make religion sound plausible and some of his assertions on Marx are surely on spot, though others remain controversial. The main problem with his characterisation of Marx, however, is that while this jolly, open-ended “everything goes” Marx sure sounds appealing, he is hardly the Marx of Trotsky or Lenin. Trotsky was a dogmatic believer in the automatic collapse of capitalism, seeing it just around the corner throughout his entire life. For his part, Lenin was a man who got out of bed only for the revolution and saw nothing wrong with using any means available to bring it about. Indeed, Lenin managed to design the authoritarian formula of a vanguard party, without one iota of concern about democracy, all while maintaining that he was an orthodox Marxist. Yet Eagleton seems to have no beef with Lenin and his merry band of revolutionaries who saw nothing wrong with shooting people en-masse for the sake of the cause. While it is true that Marx´s writings can be difficult to decipher – with some containing passages that make him seem a cold blooded determinist while others paint a more nuanced picture – the Marxism systematised by his successors contained more of the dogmatic Marx than of the open-ended Marx. Ignorance can hardly account for this; the job was largely done by Engels himself as well as others, notably Karl Kautsky, “the pope of socialism” (though admittedly a harsh critic of the Russian revolution). Eagleton’s main theme seems to be that Marxists have given Marx a bad name, rather like Christians have given Christ a bad name (an argument he incidentally makes in another book). Well, not many people would argue that the ideas of Christ were largely bad, even though many would have no issues agreeing that “actually existing Christianity” has often been a disaster. The same applies to Marx and Marxism. Marx criticised the liberal order of his time for the apparent gap between the theory of how Liberal Democratic Capitalism was supposed to work and how it actually worked. To bridge this gap, to unify theory and practice, is something Marxists tried to implement and, I would argue, had failed miserably in their endeavour. How far we can go to amend the difference between theory and practise is a question that all progressives grapple with. The answer is anyone’s guess, some might maintain that it is better to attempt that which might not in the long run be possible, than to embrace the status quo. “A map of the world that does not include Utopia is not worth even glancing at” Oscar Wilde once said. Eagleton seems to concur. Hrannar Baldvinsson studied East-Asian societies in Iceland before going to Japan to do graduate studies in political theory at Waseda University where he focused on the early history of Japanese left wing thought. He currently divides his time between Tokyo and Beijing. I thought I’d share a video-review that might come in handy for this book. 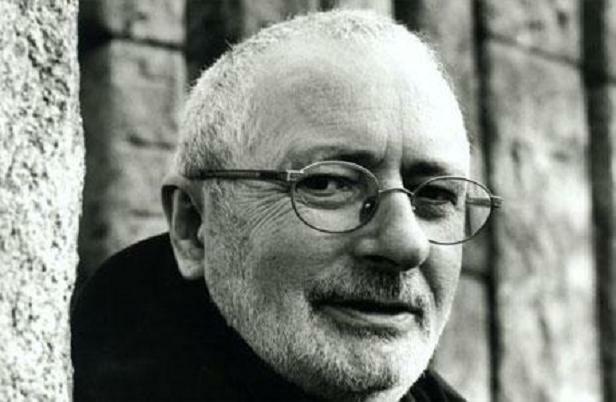 It’s a talk in which Terry Eagleton discusses his book and examines the “resurrection” of Marx’s challenging objections to our political economic system. This might be an even better way to make up your mind as to whether you should buy the book or not!